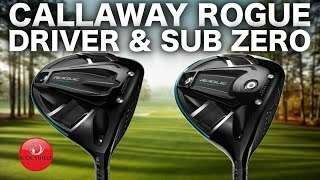 Callaway Golf Rogue Driver – Rogue, Rogue Draw and Rogue Sub Zero – all feature a series of technologies that work together to promote faster ball speed. Two in particular, Jailbreak and X-Face VFT (Variable Face Thickness) technology, support each other in an especially critical way. Jailbreak’s function, and how it works, remains the same. The bars’ position inside the head, behind the face, effectively stiffens the body to prevent the crown and sole from deforming and bulging outward at impact. That changes how the face behaves at impact, allowing it to focus more energy on the ball. Callaway calls that “Energy Lensing,” and it promotes more ball speed for longer distance. What has changed about Jailbreak is the shape and weight of the bars. Their new, hourglass shape makes them 25% lighter than first-generation Jailbreak bars. This is important because in club design, every gram that can be moved to a place where it contributes to enhanced performance, matters. 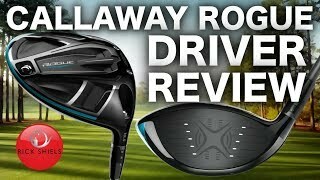 Callaway’s X-Face VFT technology entails varying the thickness of the face in strategic ways and places to help the face flex faster, especially on off-center hits. In Rogue, we enhanced VFT through a sophisticated optimization process that consists of successive iterations using finite element analysis to simulate the impact of the ball at more than 100 unique impact locations on the face. The thicknesses of every point on the face are incrementally adjusted during each iteration, based on the allowable stress limit of the face material and the face-speed limit established by the USGA. 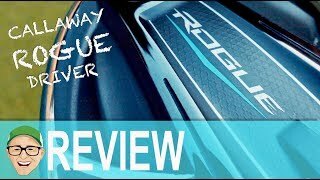 The overall benefit of Jailbreak Effect in all three Rogue drivers is the promotion of fast ball speed for long distance from a relatively large area of the face, to help golfers attain long distance more often, both on center-face contact and off-center contact.